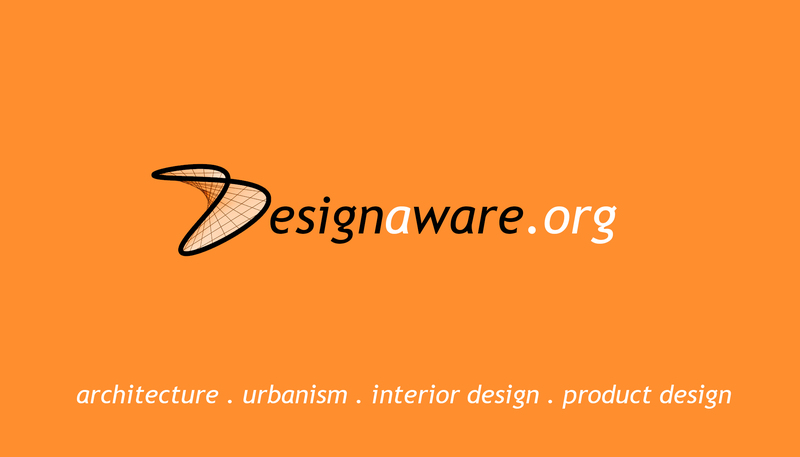 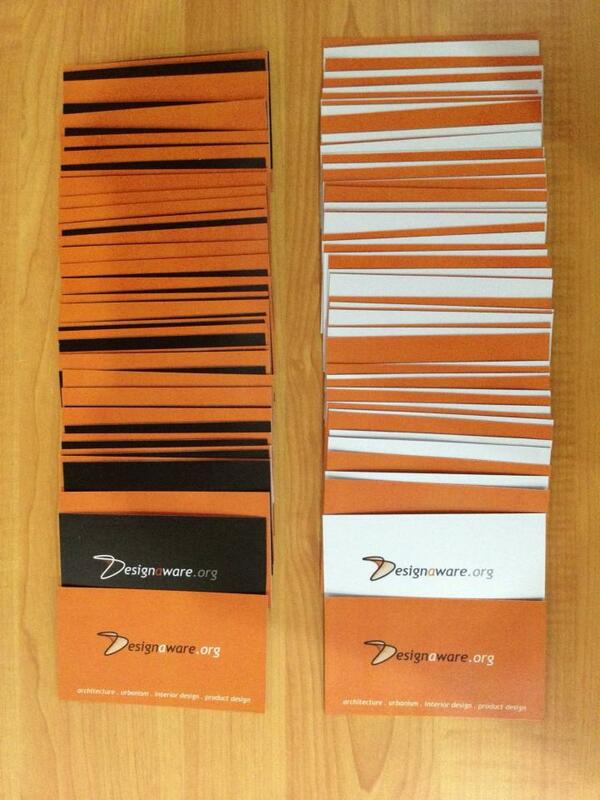 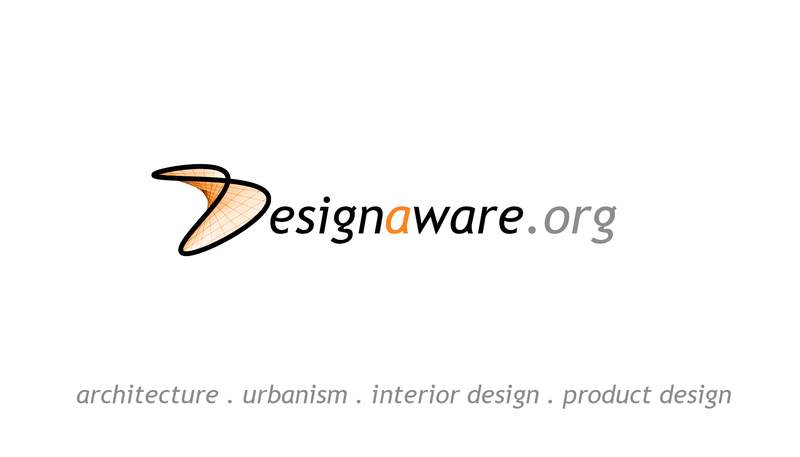 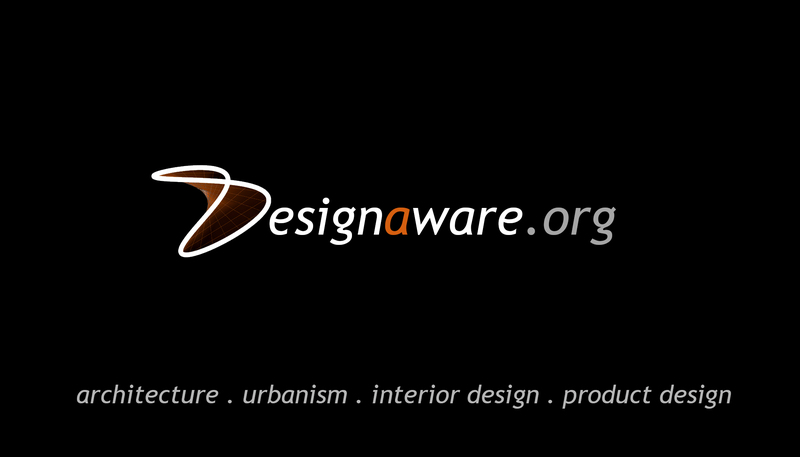 A color scheme with four colors was selected for the branding of DesignAware: black, white, grey and orange. 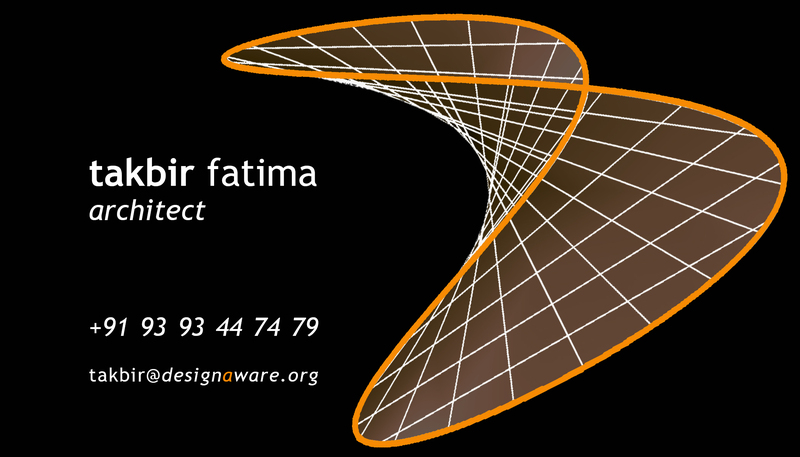 The front and back feature two different designs: contact details are on one side and website and services offered on the reverse. 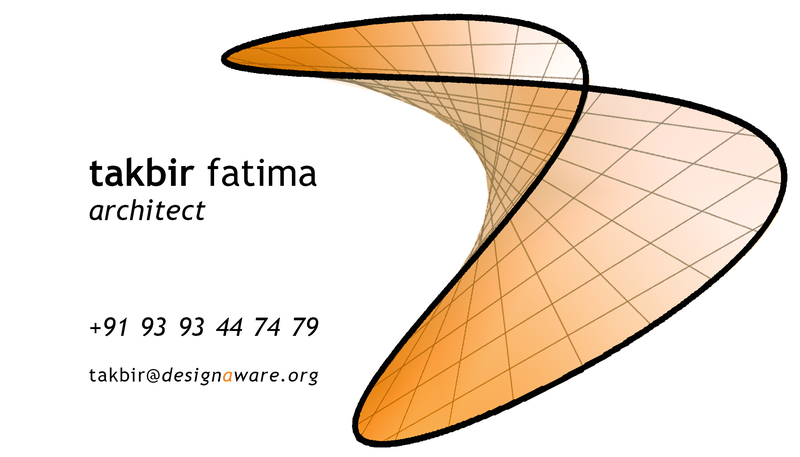 The front and back are mixed and matched in various ways, such that both sides feature different colors, resulting in four different permutations. 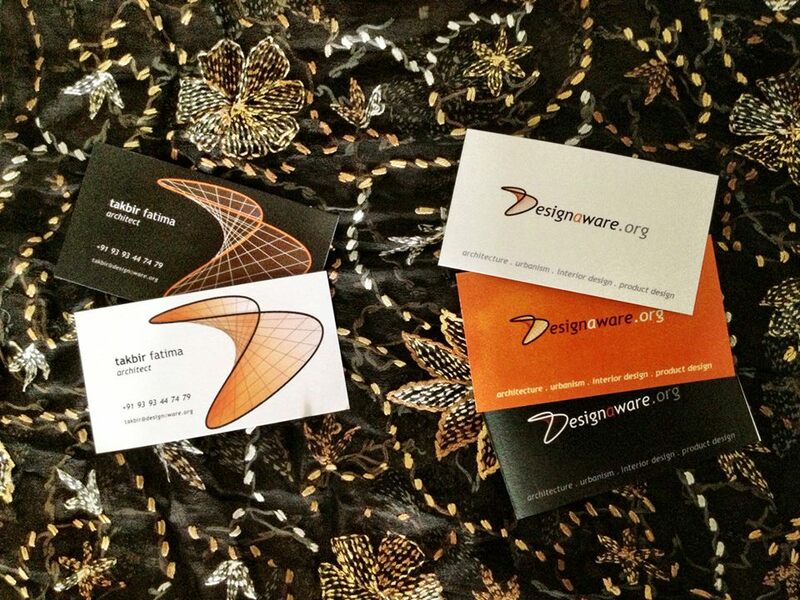 A client can be given a choice of selecting a card whose color scheme they like, introducing the concept of customization in design, and assuring the card (and its designer) remain memorable.